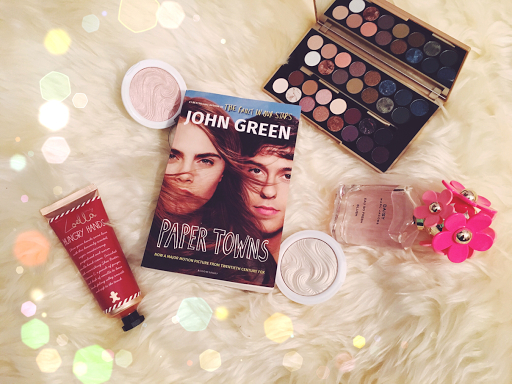 After reading The Fault In Our Stars, I had incredibly high hopes for Paper Towns. Overall the book was fairly slow, not boring but slow at times. Told from the perspective of an adolescent male, you would expect to be this fantastically gorgeous, confident young man. In reality, Q is reserved and enjoys routine in an almost extreme sense. That said, there is a stereotypical infatuation with one of the female characters. However, despite this standard male/female adolescent role play the characters are some more than that. Green has a way of making characters feel real, even if they have a specific gender role to play out. As this novel is centred around finishing school, growing up and discovering themselves. The novel feels focussed around the ideal of escapism that is so desirable to teenagers; there are a lot of stereotypical aspects to the storyline to begin with, but as you read on there are more aspects to the characters and you definitely realise that everyone is multi-faceted. Some parts of the novel are pretty melodramatic, to say the least. I would put this down to teenage hormones flying around. That being said, I felt as though Green really reflected the mood swings that teenagers always seem to have, alongside a lot of overthinking. In short, one of the characters is incredibly self-adsorbed and does everything possible to ensure that she inadvertently ruins graduation for a whole group of teenagers. Margo is a character that's forever talked about, but one that, as a reader you never fully get the opportunity to understand. She leaves 'clues' to the main character, Q to find and attempt to solve after a mysterious disappearance. Although the disappearance was at the heart of the novel, I honestly felt like it was dragged out a lot, with a lot of teenage boy overthinking throughout. Margo was definitely made out to be some fantastically beautiful, unattainable being which ultimately emphasised how much a crush can affect someone. Margo is essentially the product of two very uninspiring parents who misunderstand creativity as rebellion, as well as having fake friends and ultimately a fake life. Throughout the novel, you see Q mature a lot; changing from a fearful, repetitive, game playing 'geek', to a confident, spontaneous and ultimately intuitive individual. I never understood why he had such an obsession, such an dying love for Margo but I guess at eighteen that's how emotions work; alongside this, as a reader you also see his relationships with his friends develop during a short space of time, as well as how their relationships with girls develop. Hormones definitely play an avid part in growing up, as does beginning to understand sexuality and desire. Desire undeniably played a massive part throughout the novel, Q makes it clear she's been in love with Margo since they were children, only towards the end of the novel does the reader discover if those feelings are reciprocated. I have to say, I was thoroughly disappointed by the lack lustre ending; I felt as though there was so much drama, so much tension building up to that point and then it simply ended as quickly as it began. There was so much potential in this book but it really didn't work for me, for a number of reasons. I liked each of the characters but they weren't written in depth enough for me, as a reader we only really got to know one character fully, which was Q and even then I would say there was room for more. There were many interesting ideas, but the story was generally bland, unfortunately. I would describe this book as being solely intent on the journey as opposed to the destination; the end result didn't live up to the excitement of the plans, the underlying childhood truama they experienced. From another perspective, I suppose you could say that the point of having such a lacklustre ending is that it correctly displays how adolescent feelings have a tendency to exaggerate the truth, to push the limits of authenticity. In short, Margo and Quentin were not these marvellous beings, they were simply human and learning how to grow up and I guess Green did an excellent job of showing this as his writing was fantastic as always, I just didn't love this novel as much as I'd hoped I would.